Setting up an SCHTHACK Phantasy Star Online (PSO) server can be tricky, but it gets even harder if your server connects to the Internet through a router. I've managed to get mine working; now, I'll try to help get yours working, too. First, we'll need to find out what your router's public IP address is. This is the address other players will be connecting to. Go to WhatIsMyIP.com. It will tell you your public IP address in big blue letters. Write it down somewhere; we'll need it later. In the meantime, you may want to bookmark WhatIsMyIP.com for future reference. Now, let's enter your router's public IP address into the PSO server's configuration. Open the PSO server window. 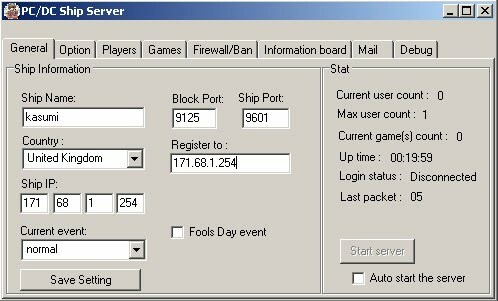 In Ship IP, enter your router's public IP address. Your PSO server should now be configured with your router's public IP address. If you've entered an address in Register to, it should also register itself on the ship gate server at that address. Next, let's find out your server's private IP address. We'll need this for Step 4 below. 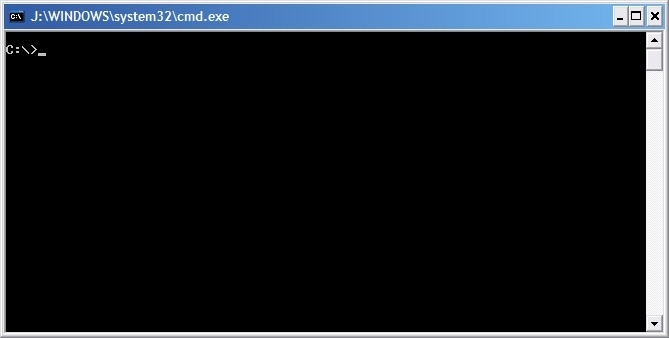 Type cmd, then click OK. A black window will appear, like the one below. In the black window, type ipconfig, then press Enter or Return. 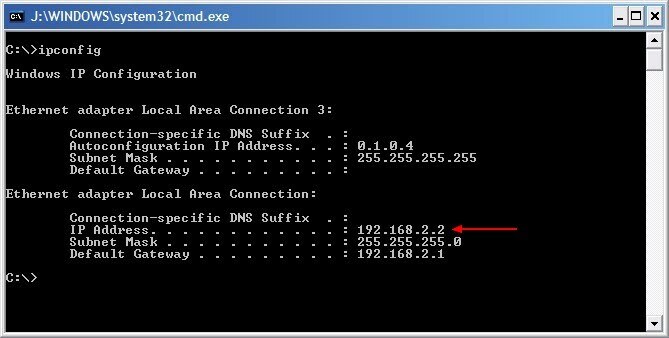 Your server's basic network configuration should appear. Below is an example. In this example, the server's private IP address is 192.168.2.2. The most common private IP addresses start with 192.168 (e.g., 192.168.0.100, 192.168.1.114). Identify and write down your server's private IP address. Finally, we need to configure your router to forward the ports PSO uses to your server. Put simply, we have to tell the router which computer a PSO user should connect to when he or she tries to connect to your server. Unfortunately, since the exact procedure differs for every router, even those from the same manufacturer, I cannot give detailed instructions here. Your router's manual will have the best instructions. All I can do is tell you what you need to accomplish. You need to configure your router to forward both TCP and UDP data on ports 9100 to 9700 to your server's private IP address. I'll illustrate the procedure for my router, a Linksys WRT54GX-v2, as an example. Next, I clicked Applications & Gaming. This was where my router kept port-forwarding settings. Under Applications & Gaming, under Port Range Forwarding, I found a free line for entering new settings. Under Application, I entered "PSO". This was to label the new settings. Under Start (the first of the ports in a range to forward), I entered port 9100. Under End (the last of the ports in the range), I entered port 9700. Under Protocol, I chose both TCP and UDP. Under IP Address (the private address to forward to), I entered 192.168.1.114, my PSO server's private IP address. Next, to activate the new settings, I checked the box under Enable. Finally, to save the new settings, I clicked Save Settings. Now, players should be able to connect to my PSO server. The router should know what to do when someone tries. For me, however, I had to change one more router setting. I was unable to connect to my PSO server using my router's public IP address. After some experimentation and research, I discovered I had to disable my Linksys router's Filter Internet NAT Redirection setting. I don't know whether non-Linksys routers have this feature. Anyway, here's how I disabled it. In my router's configuration page, I clicked Security. Under Security, I unchecked the Filter Internet NAT Redirection check box. Finally, I clicked Save Settings. Afterwards, I was finally able to connect to my PSO server using my router's public IP address! I hope this guide has been helpful, even a little. Good luck!